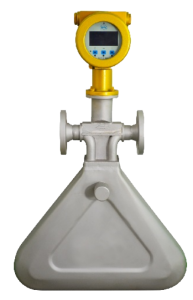 Coriolis flow meter with triangular-tube design. 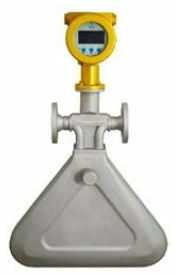 Triangular-tube Coriolis meters have the ability to handle large flow volumes at low pressure drops. Available in sizes 10mm to 25mm and flow rates of 10 - 8,000 kg/hr.